A Day in the Life with Down Syndrome- Blog posts, videos, and snapshots of life with Down syndrome across the globe. Breast Feeding and Postnatal Care- Breast Feeding information from NSW Multicultural Health Communication Service in Australia, available in 8 different languages. Bringing Up Children with Down Syndrome- Down Syndrome Victoria's introduction for new parents, available in 22 different languages. Down Syndrome International- DSI is a network of Down syndrome organizations across the world. 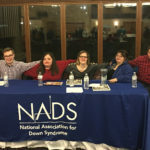 They sponsor a conference and public awareness events in honor of World Down Syndrome Day and maintain a directory of Down syndrome organizations by country on their website. Global Down Syndrome Foundation- The Global Down Syndrome Foundation focuses on research, medical care, education and advocacy. Their website includes a directory of international Down syndrome organizations. International Down Syndrome Coalition- Support for parents internationally through online groups, public awareness, and advocacy. 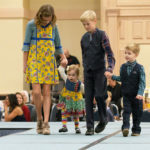 International Mosaic Down Syndrome Association- IMDSA is designed to support any family or individual whose life has been touched by mosaic Down syndrome by continuously pursuing research opportunities and increasing awareness in the medical, educational and public communities throughout the world. National Down Syndrome Society Live Translations- Live Translations into over 150 languages through the NDSS Help Line 800-221-4602. Reasons to Smile: Celebrating People living with Down Syndrome- This compilation of 56 encouraging and eye-opening short writings by a variety of authors across the globe celebrates the lives of people living with Down syndrome. Understanding a Down Syndrome Diagnosis Translations- Lettercase's booklet, Understanding a Down Syndrome Diagnosis, available in Chinese, Japanese, Korean, Russian, Soomaali, and Vietnamese, as well as English and Spanish.